digiKam is an advanced digital photo management application for KDE, which makes importing and organizing digital photos a "snap". The photos are organized in albums which can be sorted chronologically, by folder layout or by custom collections. Tired of the folder constraints? Don’t worry, digiKam also provides tagging. You tag your images which can be spread out across multiple folders, and digiKam provides fast and intuitive ways to browse these tagged images. You can also add comments to your images. digiKam makes use of a fast and robust database to store these meta-informations which makes adding and editing of comments and tags very reliable. 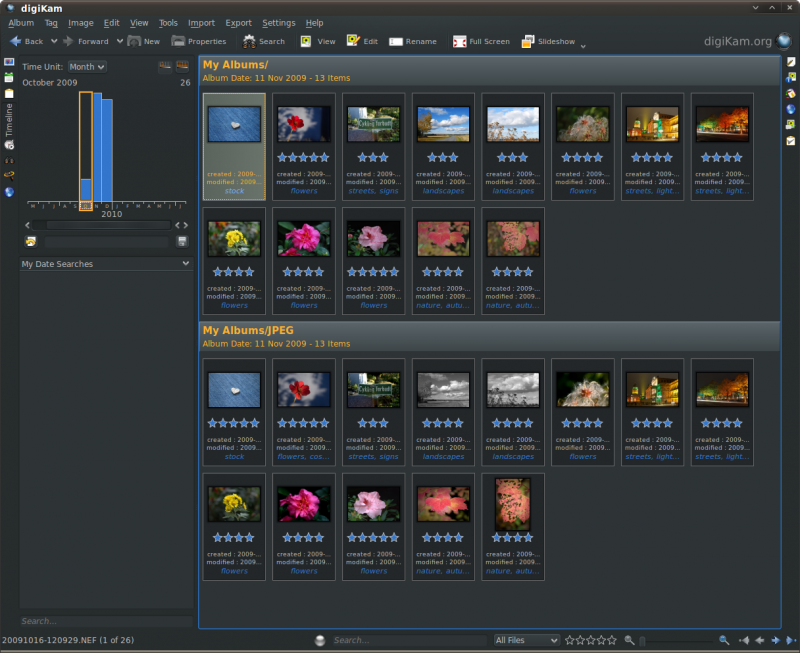 digiKam makes use of KIPI plugins for lots of added functionalities. KIPI (KDE Image Plugin Interface) is an initiative to create a common plugin infrastructure for digiKam, KPhotoAlbum, and GwenView. 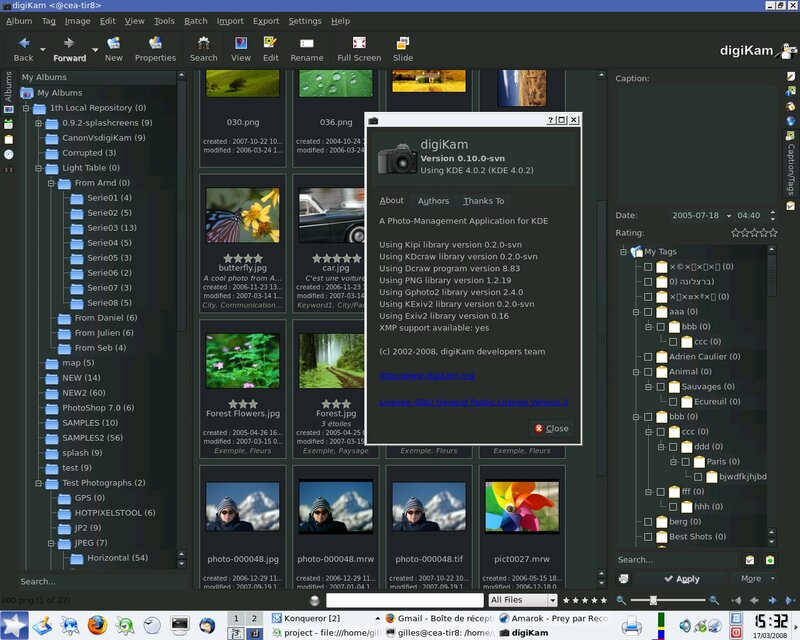 Its aim is to allow development of image plugins which can be shared among KDE graphical applications. An easy-to-use interface is provided that enables you to connect to your camera and preview, download and/or delete your images. 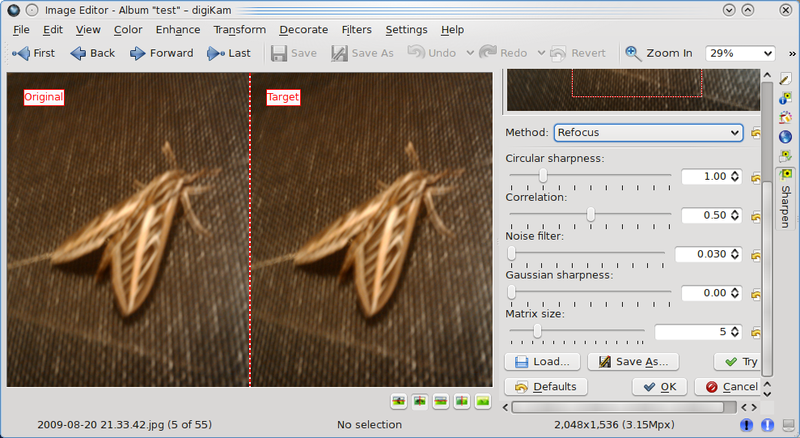 Basic auto-transformations can be deployed on the fly during image downloading.